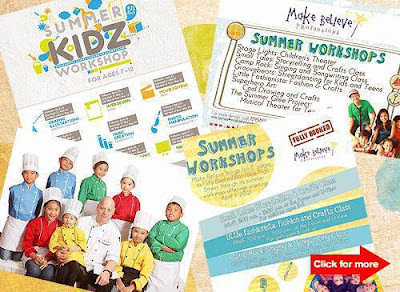 Stella Arnaldo's Blogspot: What are your kids up to this summer? SUMMER is one of those seasons most parents dread. Their kids are out of school for at least two months while they are at their offices toiling away. Who knows what sort of mischief the kids would run into? When my siblings and I were much, much younger, there seemed to be no surfeit of grown-ups around to supervise us. There was either a yaya or a smart househelp, and my ever-present Lola Ding and her sister Lola Lily. So even when my parents weren’t around, I was pretty much kept in line. I would usually play with the neighborhood kids or by myself, reading or sometimes vegging out in front of the TV watching Sesame Street or Dolphy/Nora Aunor movies (my yaya’s influence). But there were also the piano and ballet classes—which were de rigueur among middle-class families back then. I don’t remember what my brothers did during the summer—probably making mayhem with their friends, as there were no martial arts classes that are so popular among kids today. When I grew into my pre-teens, there was tennis—I already had dropped ballet class by then, as it was just way too early for me at 8 am, whereas my tennis classes started at 4 pm. (I had always been an afternoon person even as a child.) I loved playing tennis so much I actually had dreams of becoming the first Filipina to win at Wimbledon. The point in these ruminations is that while kids do deserve a break from their studies this summer, it doesn’t mean that parents should just let them run wild and go unsupervised. Kids still need structure and discipline even during vacations. Sure, they can wake up later than usual, but they should never miss any meals. Even if they’re allowed to watch TV more often than usual, the kids still need to be monitored on their viewing habits. There’s just too much trash airing on TV these days—yes, I’m referring to Jersey Shore—that some kids still manage to watch, especially when their parents aren’t home. Seriously, who would want their daughters idolizing Snooki and growing up like her? Ewww. Classes like these not only instill some organization in the way kids think or behave, it enables more face-to-face interaction with their peers and authority figures. They learn to deal with other people, how to solve problems, and they expand their social circle. More importantly, the learning happens in a fun, safe environment. Many of these classes don’t even have to cost a centavo. I’ve noticed several local governments that have announced summer classes for the kids in their districts. So parents should check with their city hall for these. I’ve always admired Americans for encouraging their kids to get summer jobs, and learn to make money as early as possible. These kids are not afraid of manual work, e.g. they do paper routes, help out in stores, become waitstaff or kitchen staff at restaurants, etc. They learn the value of working hard early enough. Also, these summer jobs are a good addition to one’s resumé for anyone who’s graduated from college and looking for a job. Companies on a hiring mode would normally prefer job applicants with previous work experience. These summer classes and summer jobs will help your kids discover who they are and in many cases, the lives that they may want to pursue in the future. One foreign friend, for instance, used to work for a restaurant kitchen every summer when he was young, he later became a chef, and is now a popular hotelier here. This summer, don’t let your kids’ free time all go to waste. Enroll them in summer classes, or tell them to get a job. 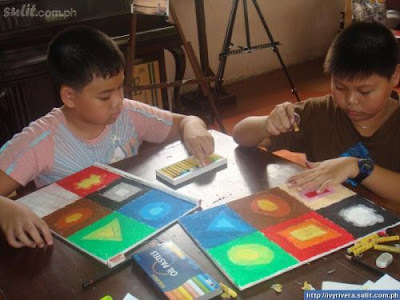 These will help them become more responsible adults in the future.